Personalized Graduation Photo Guitar Picks -..
Find out what they want to do with their degree and wrap up a college graduation gift that gets them pumped about and prepared for entering the work force and following their dream. Usually, along the path through college students find a passion for learning about certain subjects that they never realized before. Find out what sparks their creative thinking and get them some extra reading materials or another gift that reminds them of their passion and inspires life-long learning. Dealing with the stress of college and now the stress of joining the work force requires some serious stress management. That's where other passions and hobbies come in. Find out what they like to do to blow off steam and forget about work. Or, introduce them to your way of doing it. This is without a doubt one of the biggest days of their lives to date. Commemorate it with a gift that has that date engraved, printed, embroidered or framed. It will always remind them of how hard they worked to get there and will inspire them to keep going when things get tough again. What is their greatest personality trait that will help them climb the ladder and make a difference in the world? Celebrate it with a fun gift announcing their status as the wittiest, wackiest, smartest person on campus. Over the last few years they have most likely become pretty serious fans of their home team. Celebrate their alma mater with gifts featuring the team or school logo so that they can show their pride wherever they go. It’s not every day that you and your friends graduate from college. And you certainly worked hard to get here! So while funds may be tight, you definitely want to step up and celebrate with something more special than a Facebook shoutout. Also, these friends are the ones who helped you make it through college. 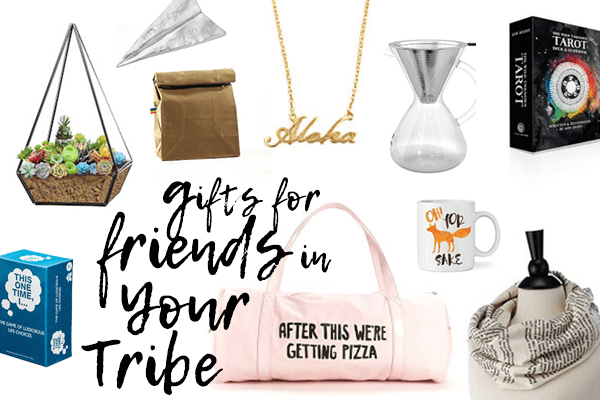 Say thanks, say congrats, and send off friends with gift ideas to celebrate graduation. Because it’s a big deal. You’re about to see how hot your boyfriend is going to look in a cap and gown. Yep, he’s a stud and he’s smart to boot. And now you’re tasked with searching out a college graduation gift that shows him he’s the bee’s-knees. 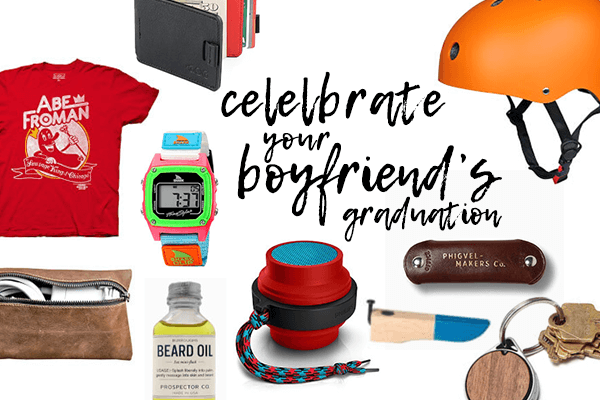 Here’s a quickie lesson in gift-giving: choose your favorites from this gift list of college graduation gifts so you’ll get him flashing that devilishly handsome smile of his. You couldn’t be more proud of her. All those moments leading up to this — from first words written to sticking it through geometry class — have made you super proud of her. But knowing that she’s graduating from college is giving you all the feels. She’s mighty smart, mighty accomplished, and you’re looking for a mighty fine gift to give her. 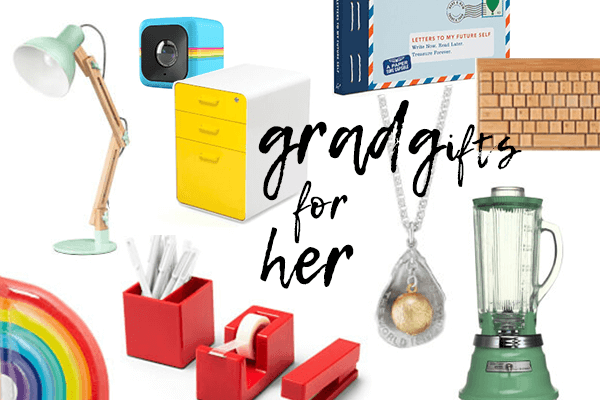 Luckily, we have a long list of college graduation gifts just for her. Graduating from college is no small feat. For the grad, he’s just completed a college degree after years of passing midterms, writing final papers, managing labs and course requirements, and making it through late-night study sessions. For the parents, they just made it through paying for college (not a small feat, either.) 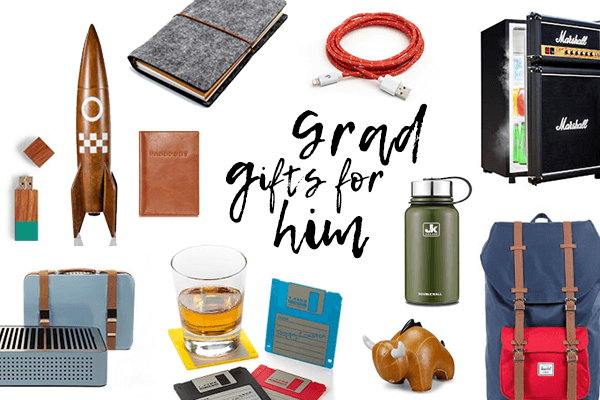 So these college graduation gifts play up the wow factor — since graduating from college is a really big deal.